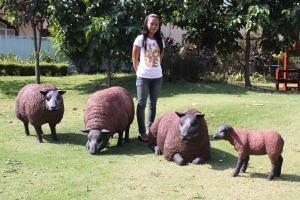 Our Texelaar sheep as a flock on your lawn will really get you noticed. 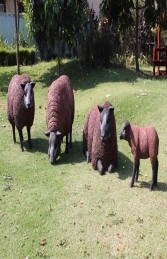 Our fabulous Texelaar sheep would look good in a flock or individually. This flock of sheep would be ideal for any farmyard themed areas, adventure golf courses, zoos, theme parks or to promote shops, businesses, pubs, restaurants, coffee shops or even your own garden. 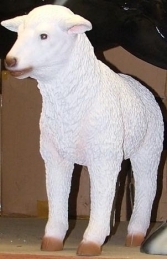 If you purchase the Texelaar Lying down,Texelaar Head up, Texelaar Head down, as a flock the Texelaar Lamb will be FREE OF CHARGE.